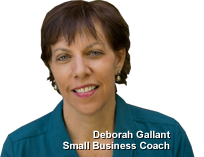 I’m Deborah Gallant, Small Business Coach. I work with entrepreneurs who are stuck, not making enough money. My process to bring your business to the next level is fun and creative and taps your potential so you make the income you deserve! When “business as usual” isn’t cutting it anymore, shake things up with a Bold Business Works boost. Using my MBA and corporate background, I’ve developed a laser-focused process to quickly uncover why things aren’t working. It has worked for hundreds of service professionals like coaches, consultants, organizers and service providers. I partner with you to create an action plan that will jump-start your success. Bold Business Works has tools that can help you measure performance, build and manage your own website, virtual learning, one-on-one and group coaching programs and Deborah is a frequent presenter and public speaker. Ready to get started? Request your no-obligation exploratory call today! Google’s search algorithms favor websites that have been designed to work on phones and tablets. By purchasing this option with your website builder, your website will be accessible in a mobile version for visitors who come to your site from a device. Read the FAQs about Mobile Responsive here. 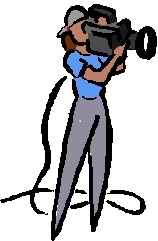 For $499 you can finally have a promotional commercial/video on your website! (if you want us to also post it online for you, give you b-roll, create a YouTube channel, we can do that too for a little more.) You get Deborah’s coaching, the shoot and the final video (usually about 90 seconds long) that you can use on your website, your social media profiles, improve your search ranking! See examples on Deborah’s You Tube channel. We hold shoots about once per quarter. Contact Deborah to find out the next date. Sign up now. Need help writing an important pitch letter? Deborah is collaborating with Harry Jaffe, a seasoned Washington journalist and author to write those important letters that get attention. Whether you want to get a book published, get a speaking gig, ask for money for your cause…when you can’t find the right words, we do it for you. Check out our joint venture at www.pitchletters.com.